We speak to Dr. dr. Iwan Dakota from Harapan Kita National Cardiovascular Center in Jakarta. 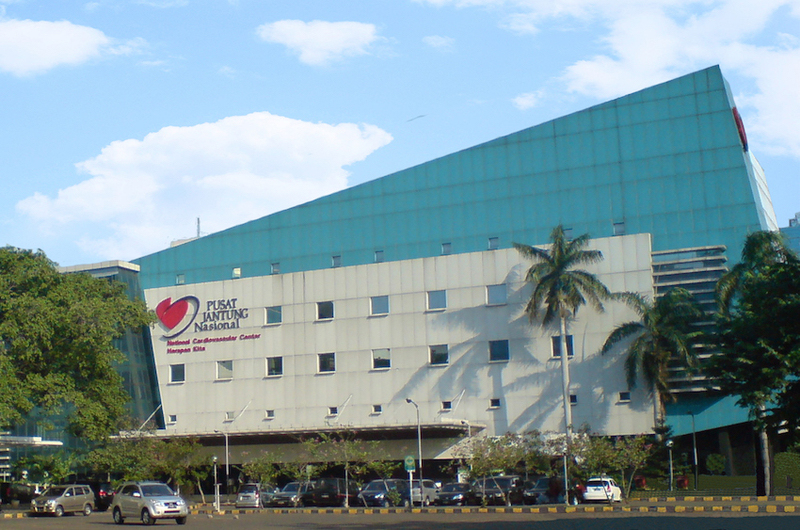 Harapan Kita National Cardiovascular Center is Indonesia’s national heart hospital, which conducts 4,000 surgeries a year. Hospital Insider speaks to President Director Dr. dr. Iwan Dakota on the importance of preventative health, and the role that tech plays in the hospital. Tell us about yourself and your role. I am the President Director of Harapan Kita National Cardiovascular Center in Jakarta. I decided to be a cardiologist, specifically an interventional cardiologist, in 1995. Back then, there were less than 300 cardiologists in Indonesia. At the time, heart disease has already the first cause of death in the world. Today, the number of cardiologists has doubled since 1995 – but the distribution of those experts and the ratio between doctors and patients is still very low. How are you using technology to improve your services? Since 2010, Harapan Kita Hospital has developed Hospital Information Systems. Right now we are using e-medical records, e-prescriptions, e-labs, and e-purchasing, among others. However, these systems are not yet integrated with one another. By 2025, we hope to be able to create a fully integrated HIS so that we can provide better healthcare services. In 2020, we plan to start integrating the systems. By 2025, we hope to be able to create a fully integrated HIS so that we can provide better healthcare services. For example, doctors will be able to explain by showing patients their test or lab results in the clinic. This will help patients understand their conditions better. A fully integrated HIS will also allow us to provide real time e-billing to patients. What are some healthcare trends to watch? Currently, in Indonesia, heart disease is the second cause of death, right after stroke. What’s more, there is a rise of non-communicable diseases among Indonesians, which is the health ministry’s main area of concern. To address this will require efforts of not only the ministry of health and healthcare professionals, but also the public in general. Right now, the Ministry of Health and all hospitals in Indonesia are trying to at least balance between preventive and curative treatments. Ministry of Health has announced Germas (Gerakan Masyarakat Hidup Sehat or Movement for Healthy Lifestyles for Society), because the root cause of the problem is that the community has to be aware that preventing the disease is much more advantageous than curing it. Curing the disease is possible. But something that has been damaged won’t be as good as new, no matter how high-quality the healthcare is and how modern the technology is. The cost to cure heart disease is rarely cheap. Another thing to be considered is the economical aspect. The cost to cure heart disease is rarely cheap, and the Social Insurance Administration Agency (Badan Penyelenggara Jaminan Sosial or BPJS) is not giving the hospital a good portion for claiming the insurance. For example, for a surgery that costs 100 million rupiah, BPJS only provides claims for 30 million rupiah. This is also another challenge in the health care system in Indonesia, and right now Harapan Kita Hospital, along with other hospitals, is trying to appeal to the MoH regarding this matter. In the meantime, Harapan Kita Hospital is making use of cross subsidiaries in order to cover the lack of claimed insurance from the BPJS. As the national heart hospital, Harapan Kita Hospital is the only hope of most heart disease patients in Indonesia; we will not turn them away simply because of financial problems! To reduce the waiting time for these patients, we encourage the 11 hospitals qualified to conduct open thorax surgery to treat patients in areas close to Jakarta so as not to prolong the patients’ waiting time in our hospital. The only exception is for paediatric patients, because the experts and facilities needed are still not adequate enough in other hospitals to conduct the procedure. This is another concern for the cardiologist network. They are now planning to make a standard on how many cardiologists in each type of hospital should have to increase patients’ access to qualified cardiologists. In order to achieve the ideal ratio, Harapan Kita Hospital along with MoH has created a mapping of heart disease patients. The mapping will act as the baseline to decide the number of cardiologists needed for each type of hospital. How are you constantly improving the skills and knowledge of your clinicians and staff? As we are now in a globalisation era, we always encourage our doctors, nurses, pharmacists, radiologists, and other healthcare staff to increase their knowledge and experience by joining several course or summit, so that they will be able to compete in Asia Pacific level. We also host weekly webinars with foster hospitals, in order to learn from case studies and share experience between the experts. We go beyond sharing only about medical cases – we also talk about our experiences with HIS to motivate the other hospitals to up their standard. We hope that in the future, most of hospitals in Indonesia will be equipped by an HIS. I don’t want us to just be the best in Indonesia. We want stand proudly among our peers in Asia Pacific, and even in the world.